When we bring lots of stuff on our holiday, we will more than likely check it our luggage, for the sake of our own comfort and safety. Usually we put our essentials like clothes, toiletries and more. We bring our valuable stuff like phone and tablets on the plane in our backpack. Though our luggage contains ‘less important’ stuff, it is a disaster to find out when it is lost or damaged. Remember, it’s always good to travel light. For sure, it was not our mistake because we have checked it in. 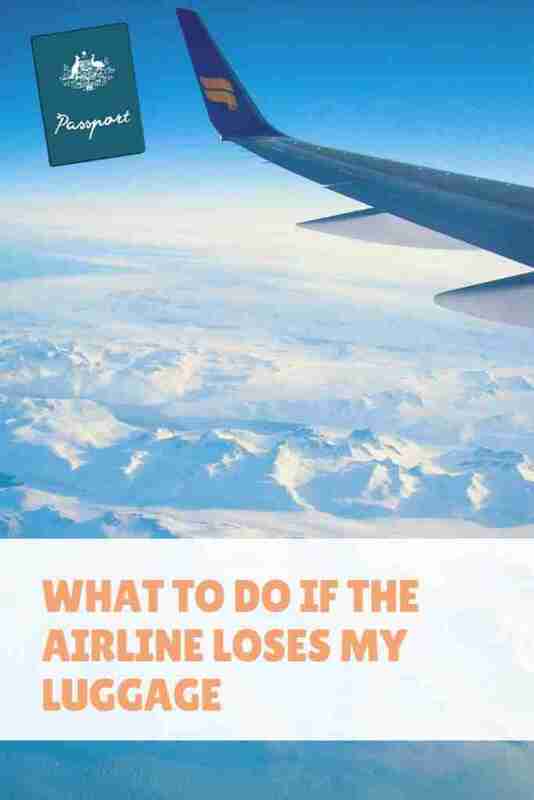 Nobody expects it to happen, though there are important things that we should learn about what to do if the airline loses any of our luggage. First things first, it is recommended to report this thing, right away. Never postpone it, because the airline may reject the claim when we don’t report it within more than 24 hours. Anyway, we still need to read the terms and conditions, which are usually stated on the airline tickets. Be sure you read them carefully. Yes, it is true that you should report it. But, you should know the next step after you make a report. When you make a claim, you need to ensure that the airline staff gives you a document to fill the details about your lost luggage. Don’t leave without it, because you can’t claim a reimbursement without a written document. Once you make sure that you read all the terms and agreements, then you can directly claim your lost luggage, so you may get compensation. But, the airline staff will ask about the items within your luggage. This is very important because it brings significant impact to the amount of compensation. Different airlines may apply different rules about the compensation amount, so you need to know about this matter in advance. However, several airlines apply the amount of compensation, based on the flight length. Usually, such policy is applied by airlines from European countries. It is also recommended to take picture of your luggage before checking in, just in case the airline staff lost it accidentally. It is much harder to explain lost luggage, especially if your luggage is common in colour and shape. However, it is somewhat challenging for passengers, who claim their luggage was damaged. Damaged luggage should be proven with the pictures of the luggage before the passengers check in. It is important to keep in mind that you won’t get the full value of all things within your luggage. Besides, the airline won’t care whether there are branded outfits that you bought with the whole amount of your yearly bonus, within your luggage. The airline has its own policy about replacing the cost of outfits, luggage and other essentials–even the smallest thing like toothbrush, etc. Be prepared for unexpected things like irresponsible airline staff. There are times when you find it hard to contact the person in charge of lost luggage, or you can’t get the reimbursement within the certain period of time that you expect. Well, there is only a slight chance in facing such thing. Let’s expect that you’ll get the amount that you nearly expect for all the things within your luggage. So, stay calm. 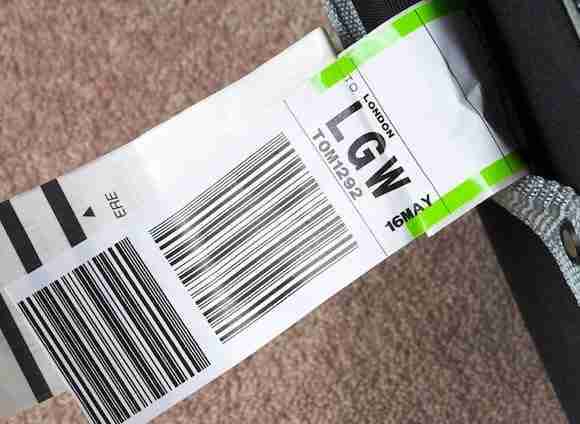 Your luggage may be on the next airline flight, as it mostly happens when your flight was delayed. Finally, things can go wrong when going on holiday. The main thing is to stay claim and report straight away. But, you can be prepared for such a circumstance, by only reading all the aforementioned tips. You can’t expect too much from the airlines, though you need to claim your right. And that’s it for now! 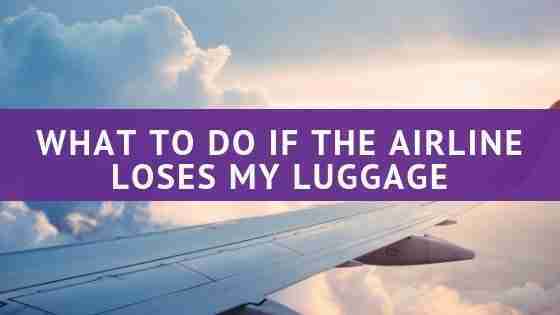 I’d love if this post on what to do if the airline loses my luggage was helpful to you. Let me know if you have any questions and let me know if you go.